It seems natural to focus on the biggest inhabitants of the garden and to think that gardening is all about plants. But it is so much more. How to create communities within your garden. How to properly feed the soil dwelling organisms. How to increase microbial diversity. How to provide sufficient water for ecosystem health. How to build a healthy, abundant organic garden. Gardening is much easier and much more interesting when we work to support the health of the whole garden, and that's what organic gardening is all about. Enter your email below to get your free ebook (we will never send spam). "This is written in the early years of the organic farming and gardening resurgence from the blatant uses of pesticides and monoculture farming and large corporate nursery garden supplies of seeds and bedding plants. It is easy to read and gives the ideas and some practical beginnings very succinctly. Much useful information in a thin book!" "The Essence of Organic Gardening is a great introduction to organic methods of gardening, but is also just a fantastic overview of ecosystem management for those who are curious about how nature works, and what our place in it should be. Heide is very clear that nature is a stronger force than we are, and that we need to re-evaluate our role to work co-operatively with our ecosystems." "In many ways, we have acted like curious toddlers, wandering into our environment and making changes without having any true understanding of the long term and widespread effects of our efforts. 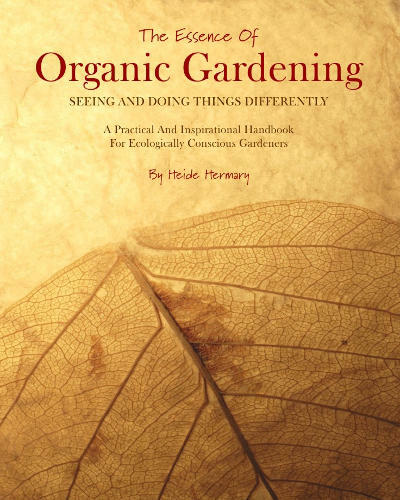 Heide's books are part of a slowly growing movement to work with the earth instead of simply bending it to our will. It is long overdue, and I believe we will all be the better for it." Gaia College has given a focus to how I've always been wanting to live. Loved the course.